Thomas G. Chambers is an associate with Chambers & Noronha. Mr. Chambers has been in practice for over 30 years. Mr. Chambers was born in Inglewood, California. He received his Bachelor of Arts degree from Whittier College in 1978. Mr. Chambers earned his law degree at Western State University College of Law. While attending law school, he worked as a law clerk for an AV rated personal injury firm as well as a large civil defense firm with multiple offices throughout California. Mr. Chambers has a broad base of litigation experience, including personal injury, premises liability, product liability, uninsured and underinsured motorist claims, construction defect, lender liability, insurance bad faith and consumer liability. He has additional experience in power press injury claims as well as FEHA claims involving both hostile work environment and wrongful termination. Mr. Chambers has handled numerous cases through trial and arbitration. Mr. Chambers is a member of the California State Bar and is admitted to practice in the United States District Courts for the Central and Southern Districts. 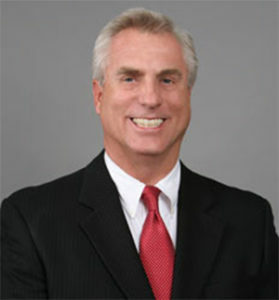 He is also a member of the Orange County Bar Association.